The nickname is used as reference to not only the clock but the tower itself. The clock is the world's largest four-faced chiming clock and the third largest free-standing clock tower in the world. It is one of the most famous buildings in the UK and known as one of London's most defining landmarks. 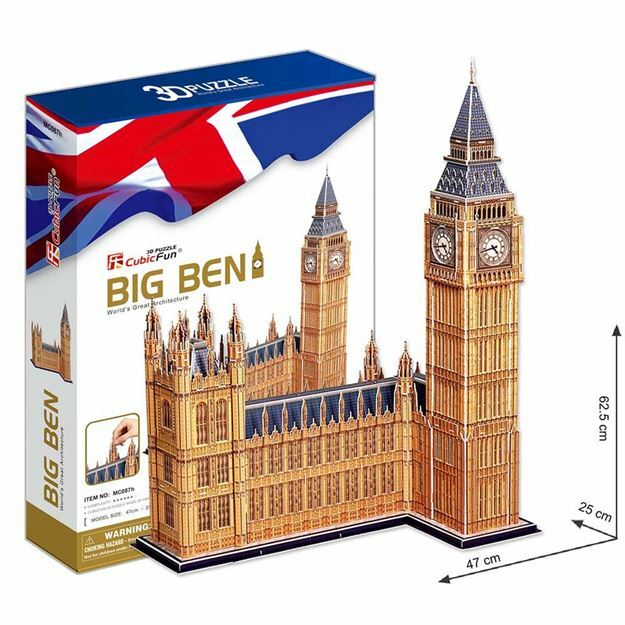 This 3D puzzle is made of paper and expandable polystyrene foam board, it is easy to assemble without the use of any tools or glue. No of Pieces: 36. Model Size: 62.5cm x 47cm x 25cm. Age: 8+ years.